Albert Einstein was one smart cookie. I know nothing about science but I know enough that Albert Einstein’s research and discoveries had a major impact on science today. Just don’t ask me to explain how – something about E = MC2? But one thing I do recall from one of my Year 7 Science classes (apart from how to burn stuff with Bunsen burners) is Einstein’s favourite quote on the definition of insanity. It is amazing how many people I come across who keep doing the same things and wondering why their results do not change. You cannot Master Your Money Now unless you do something different. Perhaps, you may need to seek qualified financial advice to change your financial situation and improve your lifestyle both now and in the future. I have come up with the definition of financial insanity. 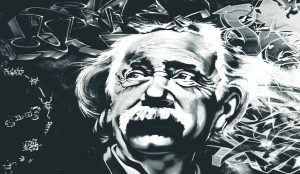 Not that I would ever claim to be as smart as Albert Einstein, but there is one common thought process in Australia today which can only be described as financial insanity. One of the scariest thing today is that many people are financially insane, whether it is by circumstance, ignorance or worst of all, by choice. Why do people think like this? Yes, because 50 years ago this was perfectly true! The Age Pension was first introduced in 1909. Prior to this, the elderly had no financial support and their care fell either to family, religious or charitable organisations. As you read points two and three you would realise what has changed about the Age Pension. When it was initially introduced in 1909 only 4% of Australians were aged 65 and older. At that time, the rest of the population could comfortably fund the 4% of Australians in retirement. A lot has changed since 1909. We have had improvements in health, education and community standards which has changed the landscape of Australia. – An estimated $63.3 BILLION was spent to Age Pension in 2016/17 which equates to approximately 16.5% of every dollar paid in tax goes to funding the Age Pension. For the record, approximately 42% (totalling $158 billion) of every dollar paid in tax (total tax paid is $382 billion) goes to fund welfare payments. The government spends more money on welfare than it does on education, defence, health, public safety and transport COMBINED, and you will still have $10 billion left over. You don’t need to be a finance or mathematics expert to know that this doesn’t add up! Don’t get me wrong, it is important to look after those who are less fortunate. We have a moral obligation to help our fellow citizens who are going through a hard time or are not blessed with the same opportunities you and I have. But again, when the government is running at a deficit (i.e. there is more money going out than money going in) they are more than likely going to target welfare and the Age Pension. And those who are making a conscious decision to ‘not bother’ with saving for their retirement and rely on the Age Pension really need a wake-up call to the facts. The second thing to consider is how the Age Pension actually pays very little. As previously stated the Age Pension for a couple is $670 per fortnight each, which equates to a combined total of $34,840 per annum. How many of you could live off $34,840 per annum? I know I couldn’t. Even if I could, I would choose not to. ASFA is an organisation that everyone in the financial planning industry refer to religiously. They do a research every three months to calculate how much you need to live off in retirement. As of September 2017, they reported that you need $60,457 per annum to live a comfortable lifestyle in retirement (that is, go on an annual holiday, eat out once a week, and leave the air-con on during summer etc.). To live a modest lifestyle in retirement (that is, survive and not much else) you need $35,622 per annum – which is still more than what an Age Pension will pay you! Your Age Pension will not even pay you a ‘Modest’ lifestyle in retirement. If that doesn’t motivate you to take action to Master Your Money Now, I don’t know what will. Is it because you can’t face the fact that you have to take responsibility yourself, and as a result, you simply blame your politicians because you do not have enough in retirement? The truth is, there is only one person responsible for your retirement – YOU! If you haven’t retired yet, let me tell you that now is the best time to start taking control of your retirement and the best way to do this is to take control of your Plan A, that is, your superannuation. The alternative to this, is financial insanity. If you want to talk about ways to increase your income, please go to www.MasterYourMoneyNow.com.au/getstarted to book in your complimentary 30 minute strategy session.